If your child is already in a care setting that has a preschool program that you like, that’s great news. For many Nebraska families, however, their 3- and 4-year-olds will be starting preschool after being in a home-based setting. For those looking for the right preschool, it’s important to know the terms that preschools use in order to choose the approach that’s right for your child and family, as well as reliable indicators of quality. No one knows your child better than you do. 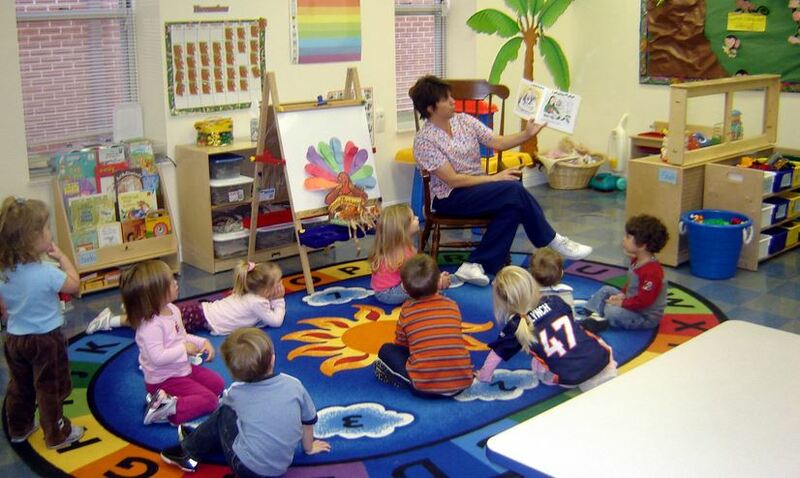 Take time to familiarize yourself with some of the terms used to describe preschool programs. Check out this list of terms from Get Ready to Read. Child-centered – This term is often used to describe settings that take the children’s interests into consideration when planning activities. For example: in a child-centered setting, the classroom activities are based on the interests of the students, not on pre-scheduled topics chosen by the teacher. These settings often offer increased opportunities for children to choose activities throughout the day depending on their interests. Teacher-led – The opposite of a child-centered setting is a teacher-led setting. Teacher-led often means that curriculum and supplemental activities are implemented based on a set schedule developed by the teachers in the setting. This type of setting usually provides children with a structured learning environment. Child-led – These settings believe children learn best when they are engaged and interested in learning. Child-led settings wait for each child to initiate or ask for new activities and experiences, fostering individualized learning experiences rather than group experiences. Co-operative – These settings often ask parents and families to assist in the running of the preschool. Parents and family members may build community by signing up to volunteer during the week, or by assisting in the day-to-day management of the preschool as well as helping with advertising, upkeep and fundraising. Developmentally Appropriate – This term means the preschool plans the curriculum and activities based on activities that are appropriate for the age of the children in the class. Pre-kindergarten (pre-K) – Sometimes this term is used interchangeably with preschool. In general, a pre-K program is one that has children enrolled in the year before kindergarten, usually at age four. These settings are often more structured than traditional preschools. Once you know what you’re comfortable with in terms of approach and quality, it’s time to build your short list. Decide who you want to consider based on the criteria that’s most important to you. What programs do friends that you trust recommend? What reviews are you seeing online? Who has an educational philosophy that matches what you’re looking for? Who’s close to your home or work? Who’s high quality AND still in your price range? If you’d like a more structured approach to selecting the right preschool, consider this checklist from PTA and Pre-K Now.